Click/tap the images below to see deeper details on each feature. British turretless TDs were often overlooked because of their insufficient protection. Update 9.21 helps them reclaim a spot among conventional assault guns by doing away with massive weak spots in front and side armor. 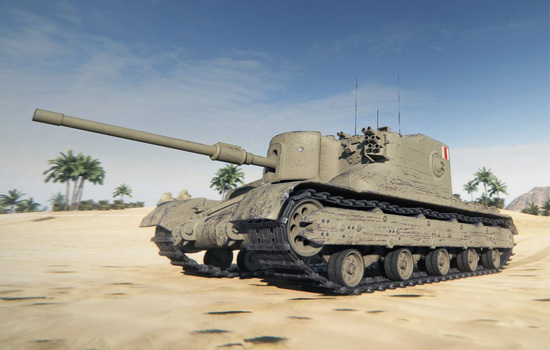 Along with addressing long-standing armor issues, the update gives the Churchill Gun Carrier, AT 15, and Tortoise greater pen stats and alpha strike with a 32-pounder gun. These balance changes should reinforce their strength as support vehicles that can eat up a few shells and dismantle opposition with an immense fire rate. The FV215b (183) didn't fit into the close-range assault role that became the line's trademark after the revision. 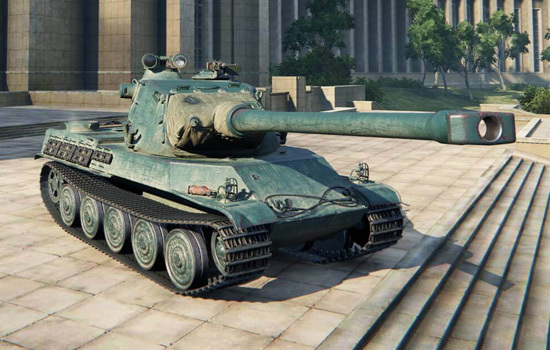 To ensure British turretless TDs offer distinct gameplay all the way to the top, we replaced it with the FV217 Badger. This newcomer builds on the skills developed from the line's Tier V–IX vehicles, but is way ahead of them in terms of firepower and protection, offering a rewarding Tier X experience. If you own the FV215b (183) when the update releases, you're keeping it (as a special vehicle) and are getting the Badger for free! The AMX M4 mle. 45 now leads to a new line of French heavy tanks. Each newcomer has two top guns (one with hard-hitting alpha, the other with faster firing lower alpha), offering a pleasant change from the hit-and-run gameplay French HTs often force on you. But that's not all – the trio stands out more thanks to tough frontal and turret armor. Combine it with decent gun depression and a solid HP pool, and you have it in you to stay alive in the heat of the battle, while also contributing to the team's efforts. 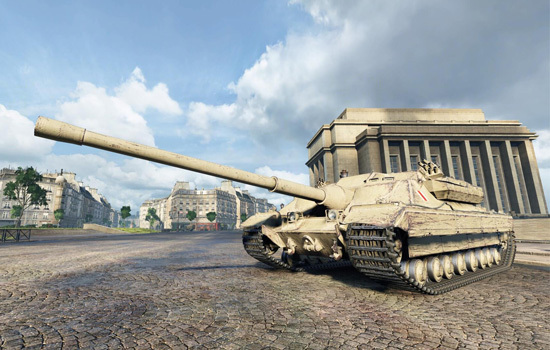 Make your way up the new French heavy tank line to discover the AMX M4 mle. 54. It continues the line's legacy of thick front armor and offers two guns that are completely different in terms of gameplay. 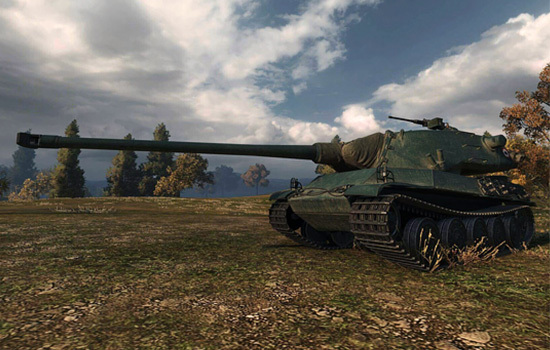 The fast-firing 120 mm gun will turn you into a front-line brawler. Enjoy going shot-for-shot at close range? Stick to the hard-hitting 130 mm gun. Choose whichever gun suits your purposes best, and don't hesitate to try out the other option, once you've had your share of battles with the first one. If you know every bush on Nebelburg and have been vocal about new maps for Grand Battles, Update 9.21 addresses this with the 1.4×1.4km Klondike. This new arena was created specifically for Grand Battles, and supports both Standard and Encounter formats. 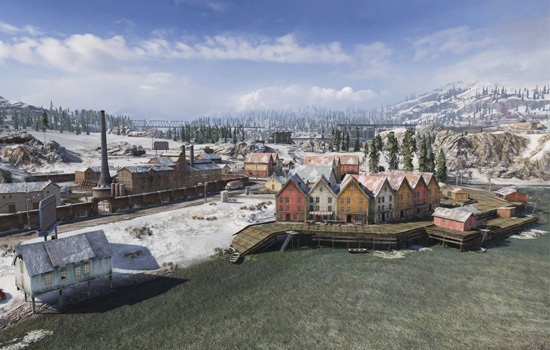 Inspired by tales of the Alaskan Gold Rush, it brings tank battles to North America where a packed mining town borders open fields and an abandoned miner settlement. Mixed terrain with vast tactical opportunities for each vehicle class ensures your experience will be anything but dull. Check out the detailed overview to hit the ground running! Throughout 2018, we'll be reshaping customization as you know it into a more sophisticated system that will let you give tanks your own sense of style. Update 9.21 lays the groundwork by adding style sets and mapping out a set of customizable areas on a tank. 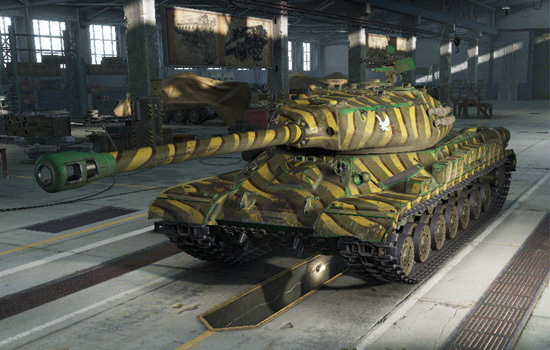 Now you can paint the hull, turret, gun, suspension, and gun mantlet separately, adjust camo sizes, and give your vehicle a distinct look with visual effects. Check out the guide to learn these new options. The customization revision touches upon its core mechanics and wouldn't be complete without changes to price setting. To ensure the reshaped system runs like clockwork, we designed a uniform pricing model that meshes with the new mechanics. Since it's the first time we're showing it off, we put together a special FAQ to get you fully up to speed. Check it out and feel free to share any lingering questions on the forum.